2019 will be an exciting year for Shell Lubricants products! Shell is offering two dealer promotions centered around the top motor oil brands of Pennzoil and Quaker State. The first Dealer promotion is from 12/1/2018 to 2/14/2019 where the winners will receive a VIP trip to Key West Florida for 4 days/3 nights and 2 days of fishing with a guide. How it works: Canadian Tire Retail Stores will earn one (1) entry ballot per unit sale of Quaker State Full Synthetic products during the contest period. There are team and individual prizes based on the fish you catch during this exclusive event, so make sure that during the promotional period, Quaker State Synthetic products are top of mind! The second Dealer promotion is from April 1, 2019 to June 30, 2019 where the winners will receive a once in a lifetime trip to Italy for 5 days/4 nights of touring Rome and you will enjoy can’t-be-bought experiences throughout your stay in Italy and Maranello that will include a VIP look into our technical partnership with Scuderia Ferrari. It is the longest running technical partnership in motorsports that goes back to 1929 when Shell first sponsored Enzo Ferrari as a racing driver. Below, is the 2018 recap of the Italy experience where you can see what an unbelievable experience it was for the winning Dealers! The Q2 2018 Pennzoil Synthetics competition that you have won has produced record-breaking growth for sales within Canadian Tire at a 35% increase vs. 2017 during the same time frame. I want to take this opportunity to thank you for all of your efforts throughout the 2018 year and look forward to 2019. I have been working for Shell for 14 years, and through those years, our partnership with Canadian Tire has always been a highlight for me. The success of our relationship is built on the daily efforts of leaders like yourselves and we have enjoyed much success in the past year. We offer our best wishes and happiness to you as we all look forward to future success together! The Q2 2018 Pennzoil Synthetics competition that this select group has won produced record-breaking growth for Pennzoil sales within Canadian Tire at a 35% increase in sales vs. 2017 during the same time frame. Each of the dealers and their guests were selected based on their Pennzoil Synthetics sales during this time. 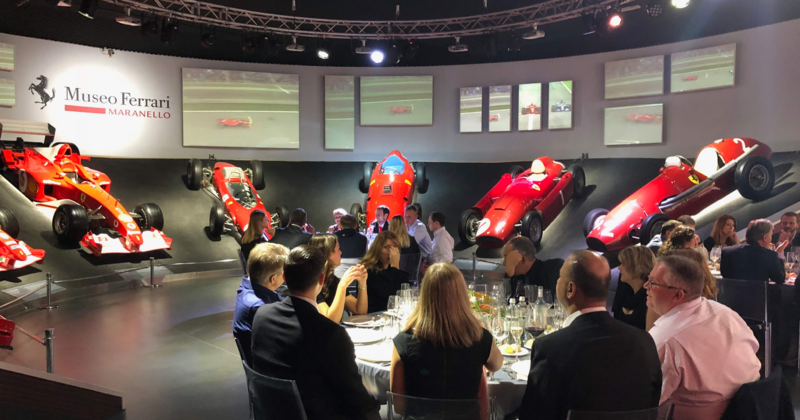 To match their exceptional work throughout the year, we hosted 3 dealers and their guests, 1 Canadian Tire executive and 1 Shell executive and his guest for an exceptional experience in Italy as a thank you and celebration. 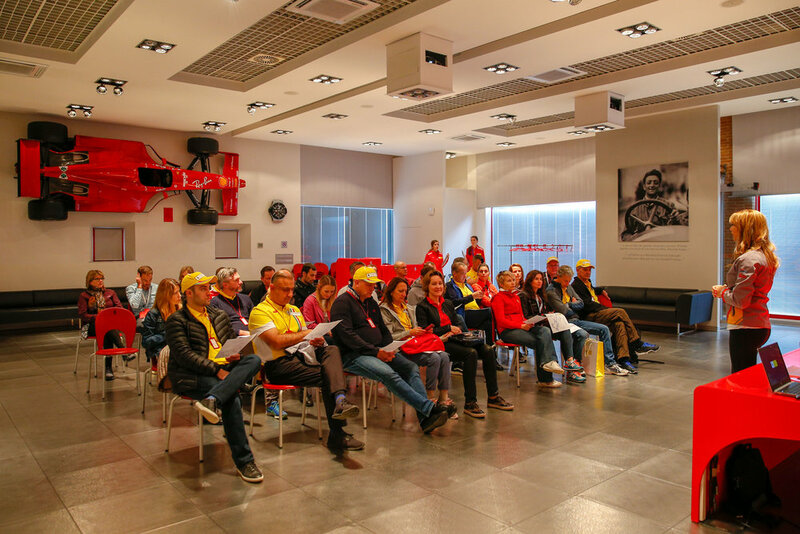 The group enjoyed can’t-be-bought experiences throughout the week in Rome and Maranello that included a VIP look into Shell’s technical partnership with Scuderia Ferrari. More than that, this partnership drives the passion Shell has for innovation and the most premium products available. We produced custom and personalized Field Guides to introduce the experience to each guest. The guide included a personalized travel itinerary, rich photography, insights to the week, safety considerations and much more. We produced this book as a special memento for each guest to have and remember the trip. The books were delivered to each guest about 2-weeks prior to departure for the trip. The closer we got to the week the more excited we got to have everything come together for the guests. Scroll through the recap to relive the event day by day. Personalized books delivered to the winners ahead of the trip. Custom itineraries for each guest. Our guests all arrived together at 1:30pm on Sunday after their business class flights over from Canada. Our host and two private drivers met the guests to help out with baggage and transfer them from the airport to the hotel. Once we arrived to Hotel G-Rough in Rome, the manager of the hotel was there to personally welcome our group as if it were a welcome into his home. A nice welcome glass of wine was served while the bags were taken to the rooms. We chose the hotel because it offered an extremely intimate and luxurious vibe in one of Rome’s most beautiful neighborhoods. It was close to many top sites, great shops and stunning views. The guests enjoyed a nap and some time to settle in before we all met back up for dinner. Your customers are special, so we planned special things for them to make them feel like the VIPs they are. Upon their arrival to Rome, a vintage bottle of champagne and local Italian fruits were waiting for them along with a handwritten welcome note. Our first group dinner together at a local Roman family restaurant, Osteria del Pegna. Our day started early with a private, VIP breakfast at the Vatican where we skipped the line (maybe 2-3 miles along) to visit one of the most important sites in the world. We met with our private tour guide, Francesco, who was with us all day. Our time at the Vatican included access to the beautiful Sistine Chapel, St. Peter’s Basilica, the Vatican Museum, the Vatican City gardens and more. After our time at the Vatican, we stopped to refresh at a local Roman tavern for homemade pasta and salads. The rain had started to pick up at this point, so it was a welcome break. We then stepped into another unreal site experience with our visit to the Colosseum. The group battled through very intense wind and rain and due to the weather, we were not able to visit inside the Colosseum as originally planned. For safety reasons, we stayed outside and off of the slippery marble. We visited the oldest museum in the world in our move to plan B, Capitalini. Our day finished up with a rest at the hotel and another delicious meal in Rome. Our day begins with Francesco outside of the Vatican Museum with a private entrance and breakfast inside the gardens. Inside St. Peter’s Basilica in the Vatican City. A wet and windy day at the Colosseum prevented us from going inside due to safety concerns, but still gained an impressive view. Overlooking the Roman Forum. Diane and Mario were off exploring during this shot. Dinner at the quaint Piano Alto restaurant in a local Roman neighborhood. Post-dinner limoncello with Denís from the hotel. 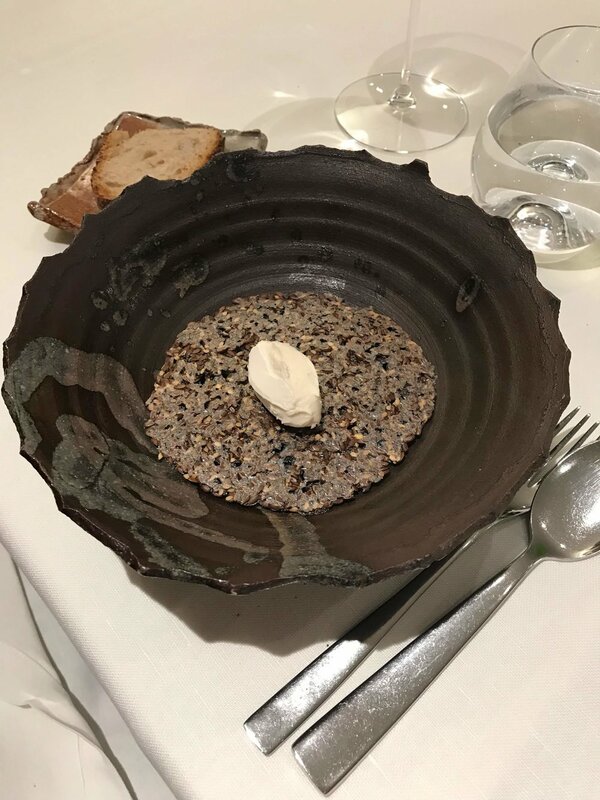 Rome has some of the most memorable dining in the world. 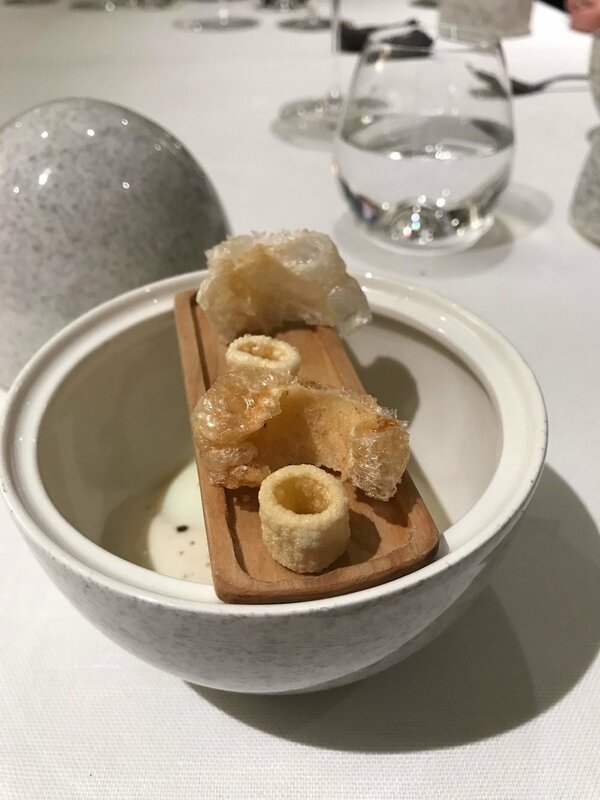 The Michelin-starred Metamorfosi provided our final dinner together and did not disappoint with a unique dining experience that ended with a meet and greet with the Michelin-starred chef himself. Part II of the experience had us taking a first class train from Rome to Maranello, which is about a 2 hour total journey through the beautiful hills of Tuscany. We arrived at the home of Ferrari to a catered lunch at Ristorante Cavallino, Ferrari’s own restaurant. After coffee, the guests received an overview of the history and importance of the partnership between Shell and Ferrari that goes back to the 1920s. After lunch came an exclusive tour of the Ferrari factory, something you can only see if you are a Ferrari client or if you are a partner of the F1 team. Photos were completely forbidden in this space, but if you are to ask each of the guests about their time behind-the-scenes then you might hear it was one of their favorite parts of the trip. 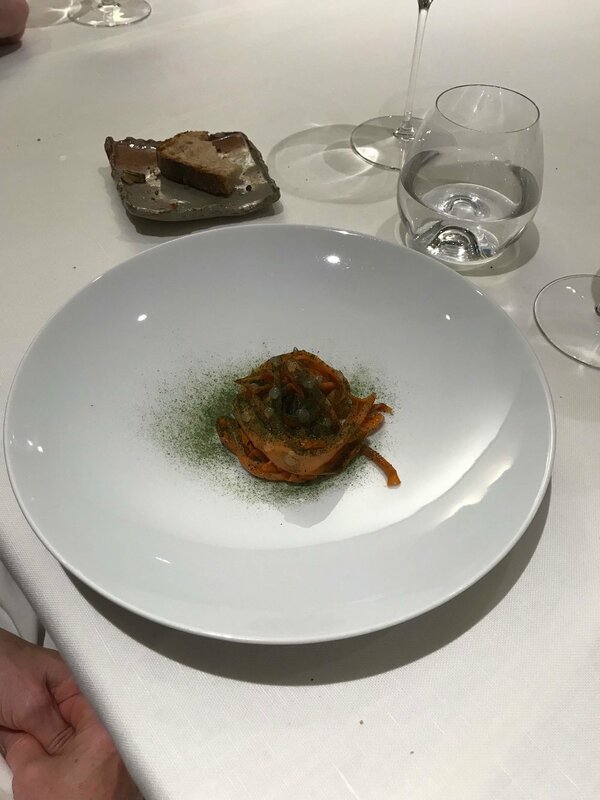 Our first dinner with Ferrari was in the famed Ristorante Montana, a restaurant with a special place in Ferrari’s heart. It is a place where every F1 driver for Ferrari comes to cook and enjoy time with the chef. Coming to this place with the group made everyone really feel part of the team ahead of their time on track. Ferrari’s Corso Pilota program is the driving enthusiast’s ultimate day out. 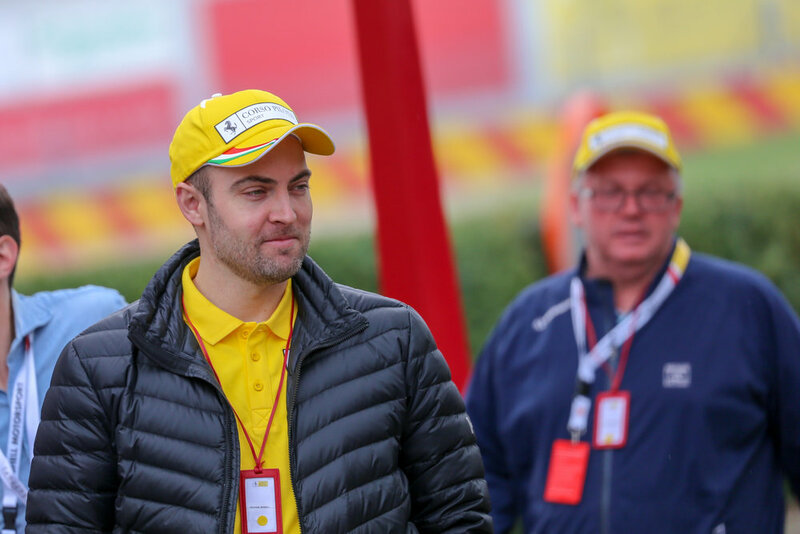 Our 5 drivers, along with 20 other Shell employees partaking in the experience had private access to the Fiorano track, Ferrari’s own test track. The drivers were split into groups and assigned professional instructors to work with throughout the day. The guests noted how happy they were with how much they got to spend on track, both driving on their own and also learning from the instructors. The coaching extended to F1-style telemetry analysis where our drivers could compare their driving data to that of the professionals for maximum learning. Since the guests of drivers did not have access to drive, we arranged special hot laps for them around the track in the afternoon, a feeling that will surely stick with them for some time. First class train from Rome to Maranello. Lunch at Ristorante Cavallino, Ferrari’s own restaurant in Maranello. Group briefing about the importance of the Shell-Ferrari Innovation Partnership. Shell welcome kit in Maranello. Ferrari registration for Corso Pilota. Dinner at Ristorante Montana, a famous place where every Ferrari F1 driver comes to cook with the chef when they join the team. In the paddock before the school begins. What it feels like to go 240 km/h in a Ferrari driven by a professional race car driver. Our guests arriving onsite at Fiorano. The 812 Superfast ready to be raced after the safety briefing. Driver orientation and safety meeting. Shell reserved space at the Pista di Fiorano. Our group meeting with their instructors. Our guests enjoying their first drives! Understanding what 800 horsepower feels like on a race track. Our guests looking over telemetry data and onboard camera in-between drives. Lunch break for the day where the technical director of Scuderia Ferrari visited the group. On the skid pad with the 488 Italia. Arguably a highlight of the entire week was the private time in the Ferrari Museum. 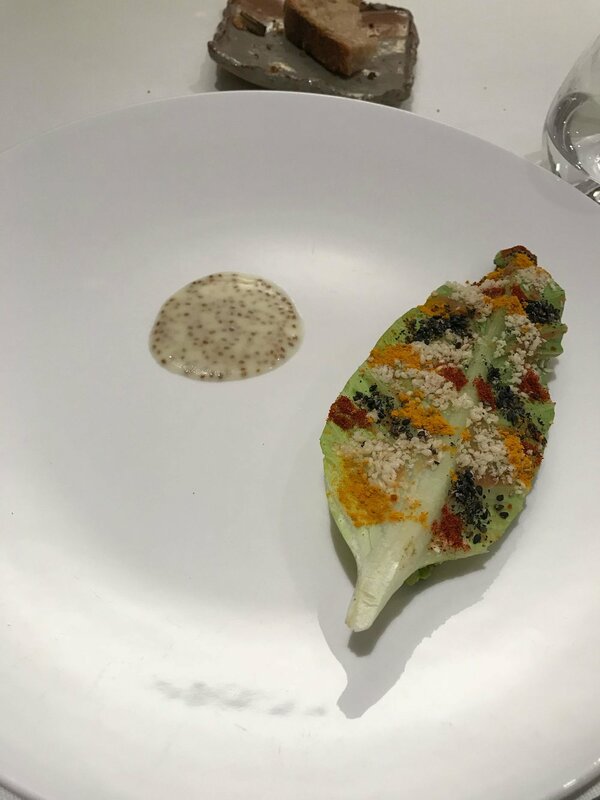 Not only did our group get after-hours access to the museum away from the public on Wednesday night, they also were treated to a 4-course plated dinner in Ferrari’s Victory Room. In this space, the Scuderia’s championship winning cars and trophies are on display with highlight footage of some of the most epic moments in racing history shown in the background. Our trip concluded with everyone’s departure from Rome on Friday, November 1st with privately arranged transfers back to the airport from the hotel. 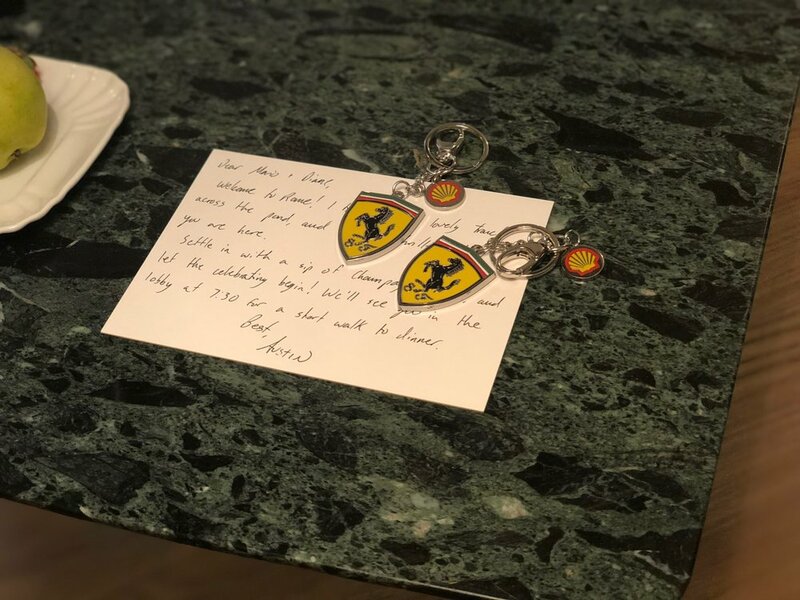 Before leaving, we treated them with custom motorsports chocolates and thank you cards to complete their experience. Now that the guests have seen the home of Ferrari, what better way to celebrate the team than with tasty helmets from famous Ferrari F1 drivers? We sent our survey to all 9 individuals to collect thoughts, comments and ways to improve in the week following. Ferrari F1 chocolate helmets, handmade in London for our guests.